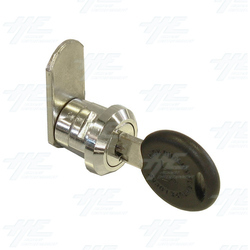 This high quality and top security of chrome cam lock comes with 2 flat wafer keys. It features with zinc alloy die cast chrome plated housing and cylinder, 90 degress rotation cam. Suitable for using in many kinds of machines, doors and cabinets.